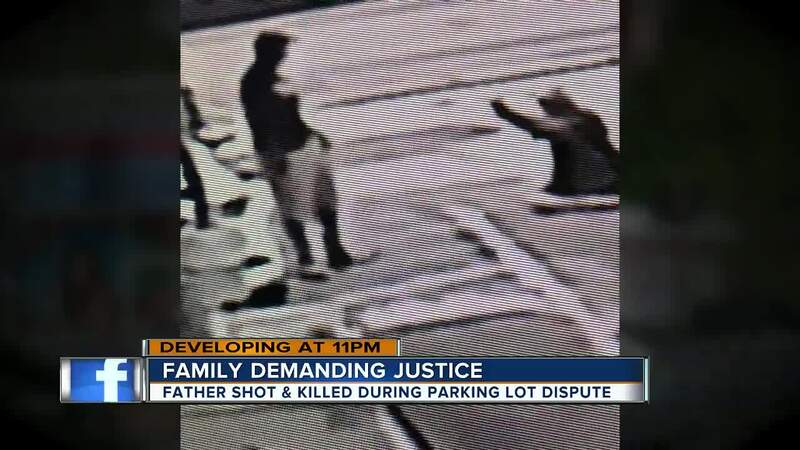 CLEARWATER, Fla. — A Clearwater man could avoid prosecution after he fatally shot another man during a heated argument outside of a convenience store under Florida's controversial 'Stand Your Ground' law. 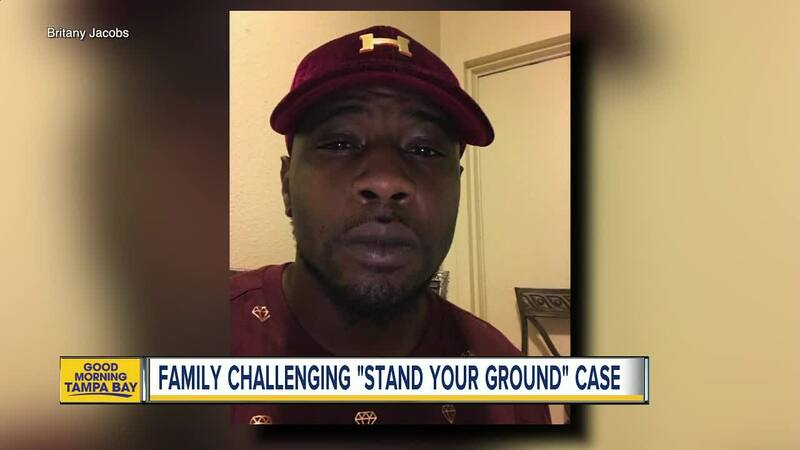 However, family members of the man who was shot and killed say they are confident the killing was not justifiable under the given stand your ground claim. According to their lawyer, they believe the man who pulled the trigger will be indicted. Markeis McGlockton was shot and killed by Michael Drejka, 47, in front of the Circle A Store in Clearwater on Thursday, July 19. Investigators say that McGlockton was killed after a dispute over a handicapped parking spot arose between Drejka and McGlockton's girlfriend, 24-year-old Brittany Jacobs. Drejka approached Jacobs and began yelling at her because she was in the parking spot, but wasn't handicapped, witnesses say. According to Jacobs, when McGlockton saw Drejka yelling at her, he ran to her aid saying "get away from my girl," before he is seen in surveillance video forcibly pushing Drejka to the ground. 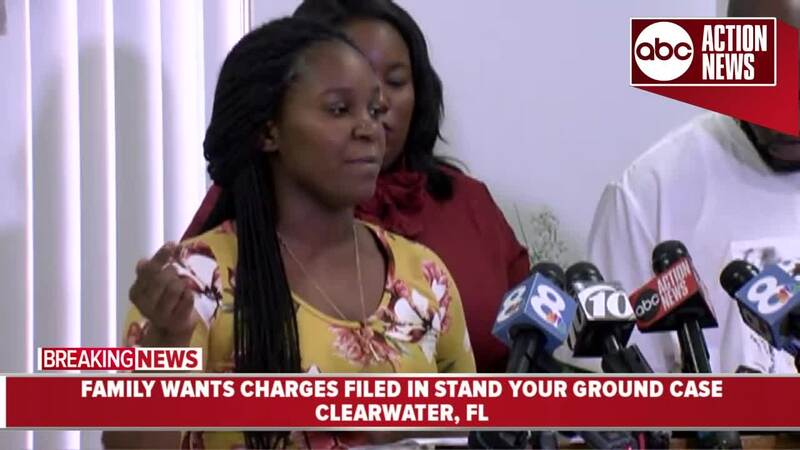 "This is a violent push, this wasn't a shove, this wasn't just a tap," Pinellas County Sheriff Bob Gualtieri said during a Friday press conference. Drejka responded by taking out a pistol and shooting McGlockton, according to a news release. McGlockton ran back into the store where his 5-year-old son was standing at the front door. Video obtained by ABC Action News, that has not been released to the public, shows the 5-year-old boy standing over his father as he begins to bleed out inside the store. McGlockton was later pronounced dead at a local hospital. Drejka, who has a concealed carry license, is not facing any charges at this time under Florida's 'stand your ground' law. The law dictates that if a person feels threatened they have the right to shoot. 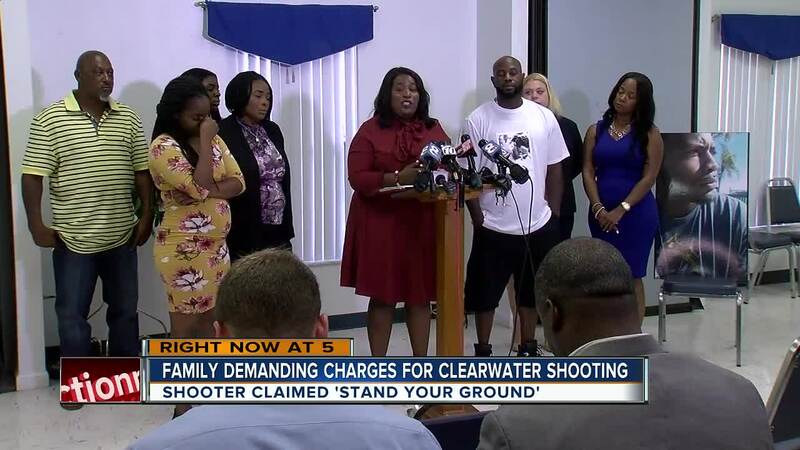 Based on changes made last year to Florida's stand your ground law, the prosecution will have to provide "clear and convincing evidence" that the defendant/shooter is not entitled to "stand your ground" immunities. Previously, the burden of proof fell on the defense, having to convince the court that they were in fear of further bodily harm. McGlockton's death has sparked a nationwide debate over Florida's controversial law. His father, Michael McGlockton, hopes lawmakers will soon change the law. "Any law that allows one man to kill another man and the man that pulled the trigger don't even get fingerprinted? Needs to stop, something needs to be done," said Michael McGlockton. burden then shifts to the other person," Gualtieri said. "That's a very heavy standard and it puts the burden on the state." Rayner says that this is not a stand your ground case because McGlockton was not continuing to threaten Drejka. "There was no imminent danger that Mr. Drejka was going to die, there was no weapon that was brandished, Mr. McGlockton was not armed," Rayner said during a press conference Monday. Rayner said that the case cannot apply to stand your ground because it would "become open season" where people would be able to justifiably kill one another and hide behind the law. Another factor of the shooting that will hold a prominent role in the case is where McGlockton was shot. According to the Pinellas County Sheriff's Office, witnesses told detectives that McGlockton was shot in the chest. However, Rayner claims he was shot in the side, which she says indicates he was moving away from the confrontation. "After he pushed him, the altercation was done," she said. “If he was advancing and getting ready to do more harm to Mr. Drejka, why was he shot on his side? But yet, Mr. McGlockton is not here with his family but Mr. Drejka is walking around the streets of Clearwater free as a bird." ABC Action News has a request out to the coroner's office and is waiting to receive an official autopsy to determine where McGlockton was shot. The case is currently still with the sheriff’s office and has not yet been referred to the state attorney's office. "We believe and we're confident and we're very hopeful that the office of Bernie McCabe will do the right thing in this case, and will file charges against Mr. Drejka," Rayner said. "We're asking the office of Bernie McCabe to file charges against Mr. Drejka because if not, they're sanctioning a murder." The case could take months before reaching the state attorney's office. "We just want justice, that's all we want," said Michael McGlockton. "We want justice." ABC Action News has made several attempts to reach Drejka for comment, with no response. A sign posted outside Drejka’s home Friday said: “No Comment” in bolded letters.